We really dig the blend of style, functionality and versatility in this cardigan sweater. 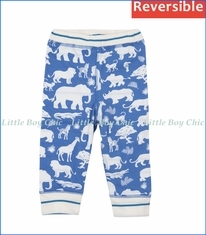 One side has his favorite safari animal silhouettes; Reverse side is more classic with contrasting stripes of blue and white. V-neck styling with decorative four-button snap closure and rounded hem. 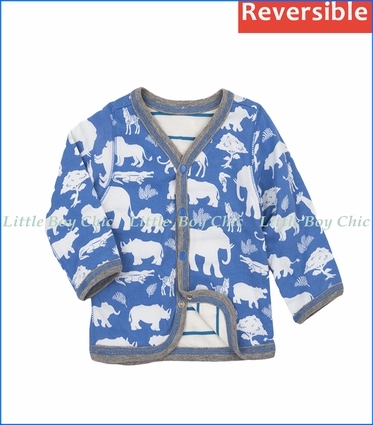 Grey trim across neck, placket, cuffs and hem. 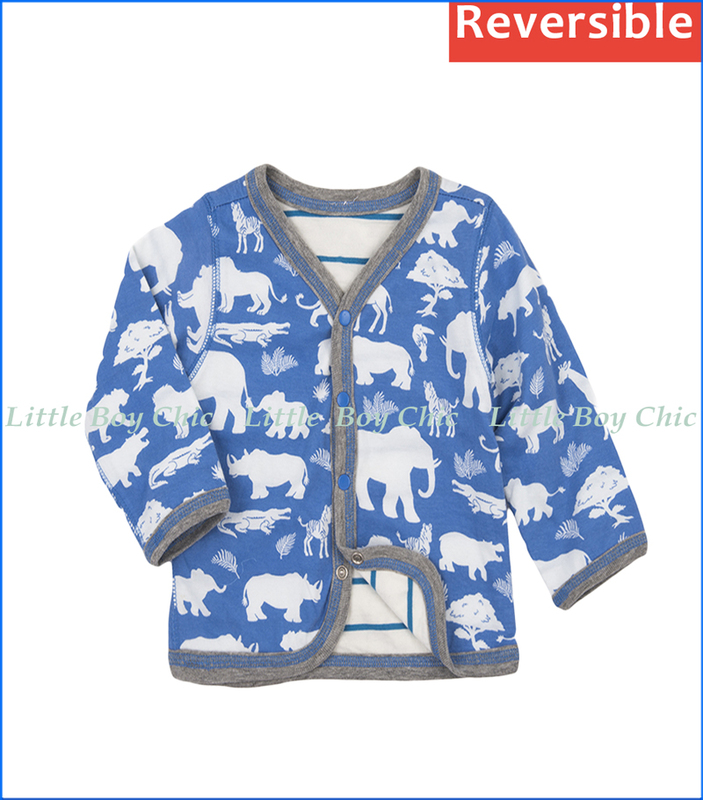 Pair with Hatley's Reversible Safari Pants.